This article is about the historical Communist Party of Australia, dissolved in 1991. For the modern-day party founded in 1971, see Communist Party of Australia (current). For the party founded in 1964, see Communist Party of Australia (Marxist–Leninist). The Communist Party of Australia (CPA) was founded in 1920 and dissolved in 1991. The CPA achieved its greatest political strength in the 1940s and faced an attempted ban in 1951. Though it never presented a major challenge to the established order in Australia, it did have significant influence on the trade unions, social movements, and the national culture. The Communist Party of Australia was founded in Sydney in October 1920 by a group of socialists inspired by reports of the Russian Revolution. Among the party's founders were a prominent Sydney trade unionist, Jock Garden, Tom Walsh, William Paisley Earsman. Women suffragettes and anti-conscriptionists included Adela Pankhurst (daughter of the British suffragist Emmeline Pankhurst), Christian Jollie Smith and Katharine Susannah Prichard. Most of the then illegal Australian section of the Industrial Workers of the World (IWW) joined, but the IWW soon left the Communist Party, with its original members, over disagreements with the direction of the Soviet Union and Bolshevism. In its early years, mainly through Garden's efforts, the party achieved some influence in the trade union movement in New South Wales, but by the mid-1920s it had dwindled to an insignificant sect. A visits to the 1924 New Zealand conference by CPA executive members Hetty and Hector Ross got the (also small) Communist Party of New Zealand agreeing to temporary affiliation with the CPA, and were followed by visits in 1925 by Harry Quaife, and by Norman Jeffery a bow-tie wearing former "Wobbly" (IWW member). Garden and other communists were expelled from the Labor Party in 1924. The CPA ran candidates including Garden at the 1925 NSW state election in working-class seats against the ALP, but was decisively defeated. This prompted Garden to leave the party in 1926 and return to the Labor Party. The leadership of the party went to Jack Kavanagh, an experienced Canadian communist activist who had moved to Australia in 1925, and Esmonde Higgins, a talented Melbourne journalist who was the nephew of a High Court judge, H.B. Higgins. But in 1929 the party leadership fell into disfavour with Communist International, which under orders from Joseph Stalin had taken a turn to extreme revolutionary rhetoric (the so-called "Third Period"), and an emissary, the American Communist Harry Wicks, was sent to correct the party's perceived errors. Kavanagh was expelled in 1930 and Higgins resigned. A new party leadership, consisting of J.B. (Jack) Miles, Lance Sharkey and Richard Dixon, was imposed on the party by the Communist International, and remained in control for the next 30 years. During the 1930s the party experienced some growth, particularly after 1935 when Communist International changed its policy in favour of a "united front against fascism." The Movement Against War and Fascism was founded to bring together all opponents of fascism under a communist controlled umbrella organisation. The movement instigated the events which led to the attempted exclusion of Egon Kisch from Australia in late 1934 and early 1935. The Communist Party began to win positions in trade unions such as the Miners' Federation and the Waterside Workers' Federation of Australia, although its parliamentary candidates nearly always polled poorly at elections. In 1939 Nazi Germany and Stalin's Soviet Union signed a Non-Aggression Treaty and, despite foundational antipathies between the dictatorships, and after failed diplomatic attempts at preventing Nazi aggression vis-a-vis the West, the USSR agreed not to engage in hostilities against Germany at the outbreak of World War II (Australia declared war on Nazi Germany for invading Poland). A secret protocol of the Non-Aggression Treaty stipulated that the USSR may invade and annex East Poland and the Baltic states. Consequently, the Communist Party of Australia opposed and sought to disrupt Australia's "imperialist" war effort against Nazism in the early stages of the War under orders of the Communist International, which sought to buy time for the USSR to increase its military capability in the context of an expected Nazi invasion. Menzies banned the CPA after the fall of France in 1940, but by 1941 Stalin was forced to join the allied cause when Hitler reneged on the Pact and invaded the USSR. The USSR came to bear the brunt of the carnage of Hitler's war machine and the Communist Party in Australia lost its early war stigma as a result. Its membership rose to 20,000, it won control of a number of important trade unions, and a Communist candidate, Fred Paterson, was elected to the Queensland parliament. But the party remained marginal to the Australian political mainstream. The Australian Labor Party remained the dominant party of the Australian working class. After 1945 and the onset of the Cold War, the party entered a steady decline. Following the new line from Moscow, and believing that a new "imperialist war" and a new depression were imminent, and that the CPA should immediately contest for leadership of the working class with the Australian Labor Party, the CPA launched an industrial offensive in 1947, culminating in a prolonged strike in the coalmines in 1949. The Chifley Labor government saw this as a communist challenge to its position in the labour movement, and used the army and strikebreakers to break the strike. The Communist Party never again held such a strong position in the union movement. In 1949 the USSR detonated its first atomic bomb and Mao Zedong won power in China. A year later North Korea invaded South Korea and in 1951, during the Korean War, the Liberal government of Robert Menzies tried to ban the Communist Party of Australia, first by legislation that was declared invalid by the High Court, then by referendum to try to overcome the constitutional obstacles to that legislation. The 1951 referendum was opposed by the Communist Party as well as the Australian Labor Party, and was narrowly defeated. The issue of communist influence in the unions remained potent and led to the Australian Labor Party split of 1955 and the formation of the Democratic Labor Party comprising disaffected ALP members who were concerned over communist influence in Australian unions. In 1956, three years after Stalin died, Soviet leader Nikita Khrushchev revealed Stalin's crimes in the Secret Speech--exposing in gruesome detail the mechanism of terror and system of arbitrary rule, usually against entirely innocent victims, that terrorized Russia for three decades. The Australian party leadership --entirely committed to Stalinism--was confused on what to do. It tried to suppress discussions of the speech, which was widely reported in the press. Disillusioned members began to leave the party. More left after the Soviet invasion of Hungary in 1956. In 1961 the split between the Soviet Union and China was mirrored in Australia, with the formation of the small pro-China Communist Party of Australia (Marxist-Leninist). By the 1960s the party's membership had fallen to around 5,000, but it continued to hold positions in a number of trade unions, and it was also influential in the various protest movements of the period, especially the movement against the Vietnam War. In 1966, the party started their own magazine called Australian Left Review. But the Soviet invasion of Czechoslovakia in 1968 triggered another crisis. Sharkey's successor as party leader, Laurie Aarons, denounced the invasion, and a group of pro-Soviet hardliners left in 1971 to form a new party, the Socialist Party of Australia. Through the 1970s and 1980s the party continued to decline, despite adopting Eurocommunism and democratising its internal structures so that it became a looser radical party rather than a classic Marxist-Leninist one. By 1990 its membership had declined to less than a thousand. In 1991, the Communist Party was dissolved and the New Left Party formed. The New Left Party was intended to be a broader party which would attract a wider range of members, which did not happen, and the New Left Party disbanded in 1992. The assets of the Communist Party were thereafter directed into the SEARCH Foundation, a not-for-profit company set up in 1990 "to preserve and draw on the resources of the Communist Party of Australia and its archives." The archives of the party are now held at the State Library of NSW and can be accessed with the written permission of the SEARCH Foundation. The State Library of NSW holds an extensive collection of material related to the Communist Party of Australia including oral history recordings, business papers, the personal papers of a range of men and women involved in the Party and a collection of images that were published in Tribune the Party's newspaper. The Victoria University Library holds the Crow Collection, donated by long-time Communist Party member Ruth Crow, which includes materials from her years campaigning for the Communist Party. The University of Melbourne collection is “one of the most significant from the CPA held in Australia”, containing 20th-century materials from the Victorian branch. The SEARCH Foundation is a left-wing Australian not-for-profit company that was established in 1990 as a successor organisation of the Communist Party of Australia to preserve and draw on its resources and archives. It inherited over 3 million dollars from the CPA. SEARCH is an active membership-based organisation that runs speaking tours, publications and training programs. Members are welcome from across the Australian Left and include prominent political figures such as Australian Council of Trade Unions Secretary Sally McManus, and former NSW Greens Senator Lee Rhiannon. SEARCH maintains an office at Sydney Trades Hall and holds events across Australia. Its archives are held by the State Library of NSW. SEARCH is an acronym for "Social Education, Action and Research Concerning Humanity". Bill Flynn, Alderman of the City of Broken Hill (1953–1974). Bill Whiley, Alderman of the City of Broken Hill (1962–1974). Andrew Speed, Councillor of Bulli Shire for B Riding (1944–1947). Charles Evans, Alderman of the Municipality of Cessnock (1944–1947). Herbert Wilkinson, Alderman of the Municipality of Cessnock (1944–1947). Thomas Gilmour, Alderman of the Municipality of Cessnock (1944–1947, 1953–1962). Walter Frater, Councillor of Coonabarabran Shire (1953–1956). Jock Graham, Councillor of the Kearsley Shire (1944–1947). Allan Opie, Deputy Shire President and Councillor of Kearsley Shire (1944–1947). James Palmer, Councillor of Kearsley Shire (1944–1947). 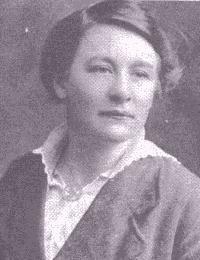 Nellie Simm, Councillor of Kearsley Shire (1944–1947). William Varty, Shire President and Councillor of Kearsley Shire (1944–1947). William Quinn, Councillor of Lake Macquarie Shire for B Riding (1944–1947, 1953–1959). R. Chapman, Councillor of Lake Macquarie Shire for B Riding (1944–1947), Deputy Shire President (1945–1946) and Shire President (1946–1947). J. Thomson, Councillor of Lake Macquarie Shire for B Riding (1944–1947). Jack Martin, Alderman of the Municipality of North Illawarra (1944–1947). Mel McCalman, Alderman of the Municipality of Penrith for St. Mary's Ward (1953–1962). Richard Ernest Wilson, Alderman of the Municipality of Randwick (1944–1948) and Deputy Mayor (1947–1948). Patrick Levelle, Alderman of the Municipality of Redfern for Redfern Ward (1947–1948). Ronald Maxwell, Alderman of the City of Sydney for City Ward (1953–1956). Thomas Wright, Alderman of the City of Sydney for City Ward (1953–1959). Jim Henderson, Councillor of the Shire of Wangaratta for Collinsville (1939–1944). Fred Paterson, Alderman of the Townsville City Council (1939–1944) and Member of the Legislative Assembly for Bowen (1944–1950) (the only member elected at state or federal level). Despite its peripheral role in Australian politics and its ultimate failure, the Communist Party had an influence far beyond its numbers. From the 1930s to the 1960s it occupied leadership positions in a number of important trade unions, and was at centre of many major industrial conflicts. Many of its members played leading roles in Australian cultural life, such as the novelists Katharine Susannah Prichard, Judah Waten, Frank Hardy, Eric Lambert and Alan Marshall, the painter Noel Counihan, and the poet David Martin. In some ways, the negative reactions to the Communist Party were more important than anything the party itself did. Conservative politicians such as Stanley Bruce in the 1920s and Robert Menzies in the 1950s won elections partly by linking the Australian Labor Party with communism. In the early 1950s Catholics in the Labor Party were led by anti-communism to form "Industrial Groups" to combat communist influence in the unions. This led to the Australian Labor Party split of 1955 and the formation of the Democratic Labor Party, which used its power to influence voters' preferences at elections to keep the ALP out of power. The Communist Party and its members campaigned for many years for causes such as improved conditions for industrial workers, opposition to fascist and other dictatorships, equal rights for women and civil rights for the Aboriginal people. It achieved some successes in these areas, and many of its positions were later taken up by the political mainstream. But the party never succeeded in garnering significant support for communism. The party was an apologist for the Soviet Union for many years (although it became critical of the Soviet Union from the late 1960s). Disenchantment with the Soviet Union was a leading cause of the loss of membership. Before the Revolutions of 1989 in Eastern Europe, communism in Australia was orientated towards gaining influence and support in the union movement and the Australian Labor Party. Since 1989, Australian communists have orientated themselves towards leftists on university campuses and left-leaning Australian youth generally. The youth wing of CPA worked under several different names in different periods, such as Young Communists, Eureka Youth League, Young Communist Movement of Australia, and Young Socialist League. The Eureka Youth League was a founding member of the World Federation of Democratic Youth, a membership later taken over by the Young Communist Movement. In 1984 the Young Socialist League became part of Left Alliance. ^ Bennett 2004, p. 85. ^ Bennett 2004, p. 84. ^ Beaumont, Joan (1996). Australia's war 1939-1945. Allen & Unwin. pp. 94–95. ^ Communist Party Dissolution Bill 1950. ^ "SEARCH Foundation". SEARCH Foundation. Retrieved 7 November 2018. ^ "Communist Party of Australia collection, ca. 1917-1992". State Library of New South Wales. Retrieved 26 March 2014. ^ Melbourne, Labour History (26 November 2015). "Melbourne University Archives: Communist Party collection lists now available". LABOUR HISTORY MELBOURNE. Retrieved 22 June 2017. ^ Committee, Communist Party Of Australia. Victorian State (1920). "Organisation". ^ "OUR MISSION". SEARCH FOUNDATION. Retrieved 7 November 2018. ^ "Think tank secrets". www.smh.com. Sydney Morning Herald. Retrieved 3 January 2019. ^ "SEARCH News". SEARCH FOUNDATION. Retrieved 7 November 2018. ^ "Sally McManus's links to Communist Party's successor". www.theaustralian.com.au. Retrieved 26 November 2018. ^ Middleton, Karen (25 March 2017). "New ACTU secretary Sally McManus on the new IR battlegrounds". The Saturday Paper. Retrieved 26 November 2018. ^ "Twelve questions for Rhiannon". Retrieved 26 November 2018. ^ "Search Foundation". www.facebook.com. Retrieved 7 November 2018. ^ "Communist Party of Australia Archives". archival.sl.nsw.gov.au. Retrieved 7 November 2018. ^ a b "LOCAL GOVERNMENT ELECTIONS". Illawarra Mercury. 90, (10). New South Wales, Australia. 8 December 1944. p. 5. Retrieved 21 October 2017 – via National Library of Australia. ^ a b "Communist Candidates for Municipal Elections". The Cessnock Eagle and South Maitland Recorder. 32, (4196). New South Wales, Australia. 29 September 1944. p. 2. Retrieved 21 October 2017 – via National Library of Australia. ^ "Cessnock Municipal Elections". The Cessnock Eagle And South Maitland Recorder. 32, (4215). New South Wales, Australia. 5 December 1944. p. 1. Retrieved 21 October 2017 – via National Library of Australia. ^ "WALTER FRATER - A TRIBUTE". Tribune (1101). New South Wales, Australia. 20 May 1959. p. 10. Retrieved 21 October 2017 – via National Library of Australia. ^ "LABOUR'S BID FAILS IN NEWCASTLE". Newcastle Morning Herald And Miners' Advocate (22, 209). New South Wales, Australia. 8 December 1947. p. 1. Retrieved 21 October 2017 – via National Library of Australia. ^ a b c d e Mowbray, Martin (November 1986). "The Red Shire of Kearsley, 1944-1947: Communists in Local Government" (PDF). Labour History. Australian Society for the Study of Labour History, Inc. 51: 83–94. doi:10.2307/27508799. Retrieved 21 October 2017. ^ "KEARSLEY COUNCIL ELECTS PRESIDENT". Tribune (82). New South Wales, Australia. 21 December 1944. p. 8. Retrieved 21 October 2017 – via National Library of Australia. ^ "Councillor Resigns COMMUNIST TO LEAD LAKE SHIRE". Newcastle Morning Herald And Miners' Advocate (21, 898). New South Wales, Australia. 10 December 1946. p. 2. Retrieved 21 October 2017 – via National Library of Australia. ^ "COMMUNIST AS ALDERMAN". Goulburn Evening Post. New South Wales, Australia. 15 May 1952. p. 5 (Daily and Evening). Retrieved 21 October 2017 – via National Library of Australia. ^ "Communist Wins Council Seat". Tribune (335). New South Wales, Australia. 22 July 1947. p. 1. Retrieved 21 October 2017 – via National Library of Australia. ^ "Ronald Alexander Maxwell". Sydney's Aldermen. City of Sydney. Retrieved 21 October 2017. ^ "Thomas Wright". Sydney's Aldermen. City of Sydney. Retrieved 21 October 2017. ^ "APPOINTMENT OF SHIRE COUNCILLOR". Bowen Independent. 41, (4167). Queensland, Australia. 23 June 1944. p. 3. Retrieved 21 October 2017 – via National Library of Australia. ^ "Communist Party". Australian Politics and Elections Database. University of Western Australia. October 2001. Retrieved 17 February 2014. Stuart Macintyre, The Reds, 1998, Allen and Unwin. 1st volume of a major history covering foundation to 1941. Alastair Davidson, The Communist Party of Australia: A short history, 1969. Covers foundation to the late 1960s. Bennett, James (2004). Rats and Revolutionaries:The Labour Movement in Australia and New Zealand 1890-1940. Dunedin, NZ: University of Otago Press. ISBN 1-877276-49-9. Tom O'Lincoln, Into the Mainstream: The Decline of Australian Communism, January, 1985. ISBN 0-9590486-1-8. Wikimedia Commons has media related to Communist Party of Australia.